In fairness to the taquito, I thought I should try a few more, just so I could verify or debunk my self-definition of its name. See here for previous post. 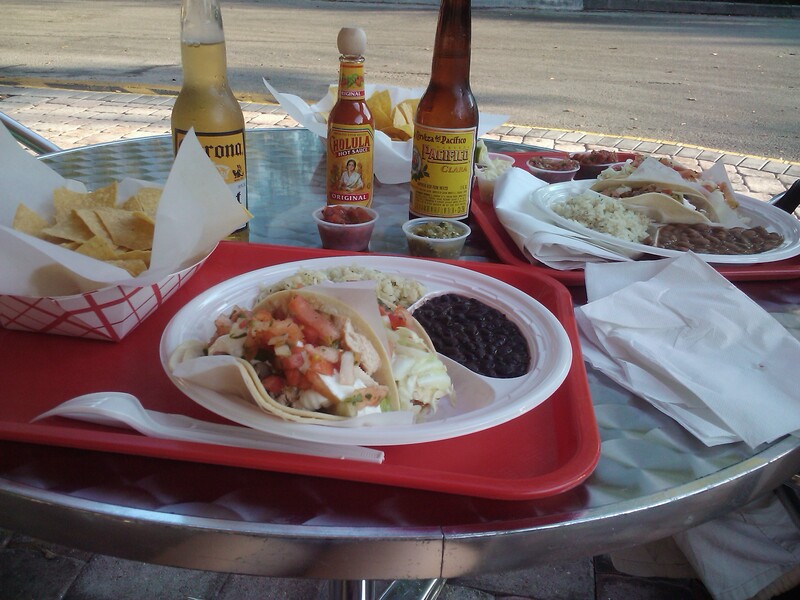 First off, neighborhood favorite Zona Fresca. 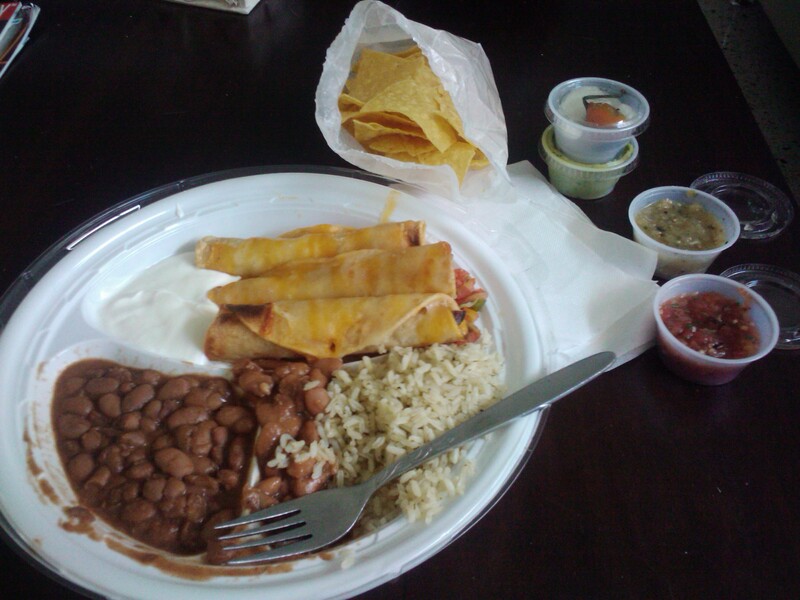 I ordered the Taquito meal which is one of their specialties and comes with 3 taquitos of either chicken or steak, rice and beans, and fresh homemade chips. All for $5.75. Same as the other dishes that I have tried at Zona Fresca, I was very pleased with the size, taste, freshness, price and overall quality of the meal. I tried both chicken and steak, and I preferred the chicken as I think the steak can get a little tough in the deep frying process. While I enjoyed the crispiness of the taquito, I think I prefer their soft tacos, as the flavor remains true for the ingredients, rather than just the fried goodness, which can be a little overwhelming. I guess maybe my palate is growing up! A few nights later I went to a more formal restaurant, Ole’ Ole’. They don’t seem to have a website and I think this is the only location. I’ve eaten there a few times before, mostly out of convenience, but its never really wowed me. They also offer a number of cuban dishes along with the mexican ones, which is kind of weird. The decor is dark and kind of cheesy, not what I’d expect from a place that charges an average of $12 for an entrée. They do offer coupons in ValPak on a regular basis, so its worth scrounging one up before you go. OK, on to the food. 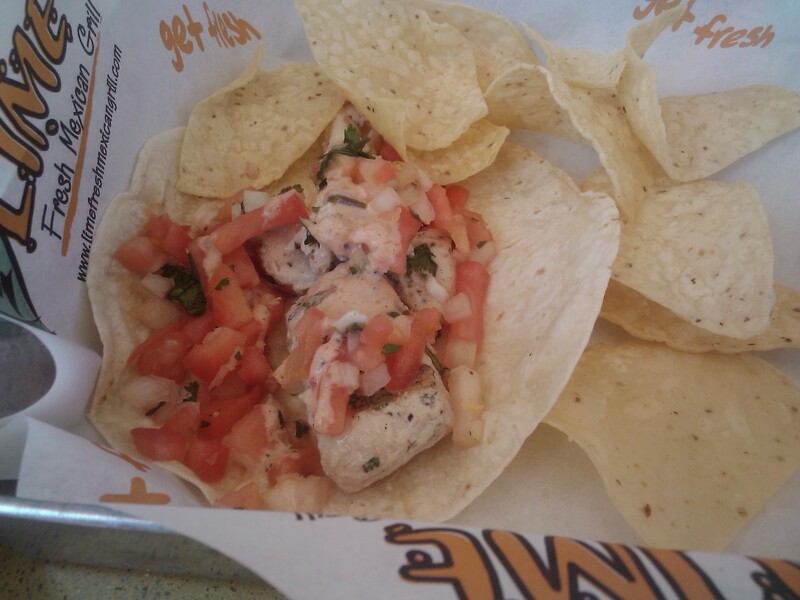 The chips were very warm and fresh — you know, the kind you can’t stop eating when they are right in front of you. Well, at least I can’t. The salsa was also good, and if you ask they will bring you their green salsa, which is all jalapeños — excellent if you can take the heat. Confession here — I actually ordered the flautas from the menu, but since they are the flour (vs corn) version of the taquito, I cut myself some slack. I had one steak and one chicken. The shredded steak was flavorful, but quite honestly tasted like something leftover from one of the cuban meals. It just didn’t taste mexican. Unfortunately, the steak was better than the chicken. It was actually inedible and I really thought that it would make me sick. The server was very understanding and got me another steak one to replace it — and I found out later than another person in my party also sent back their chicken dish as it tasted funny to them as well. I guess thats why I don’t think of Ole’ Ole’ when I want to eat good mexican food! OK, so I can be a slacker at this. I’m good at the eating part of writing a blog, but tend to get sidetracked and forget to share the news. Especially reprehensible because I was actually at the new Lime in Plantation on their second day open and got to see how awesome they were with no experience or practice in this new location. I had heard that they were coming to Plantation, but that was months ago, so I figured that the plan went bust. So imagine my surprise when I ran into some friends that were heading there and invited me to join them. I was in! They’re located in The Fountains, a shopping center that has had some tough times lately, but luckily not as bad as the Fashion Mall. Thanks Wilma! Despite demolishing half of the complex and creating some super-crazy construction mess over the past couple of years, The Fountains has newly emerged as an accessible and attractive venue, a big step up. Ordering was at the counter, where you got your beverage (Corona Light!) immediately and then your food is delivered as it is prepared. I have to give high marks for the salsa bar, which was stocked with a variety of fresh and interesting ingredients. So far so good! We sat outside in the ample sidewalk dining area that was surprisingly comfortable — not too noisy or cramped as can often be the case. And in no time there was my 3 Taco order, complete with homemade chips that were very light and crunchy, the kind you can’t help but eat too much of. 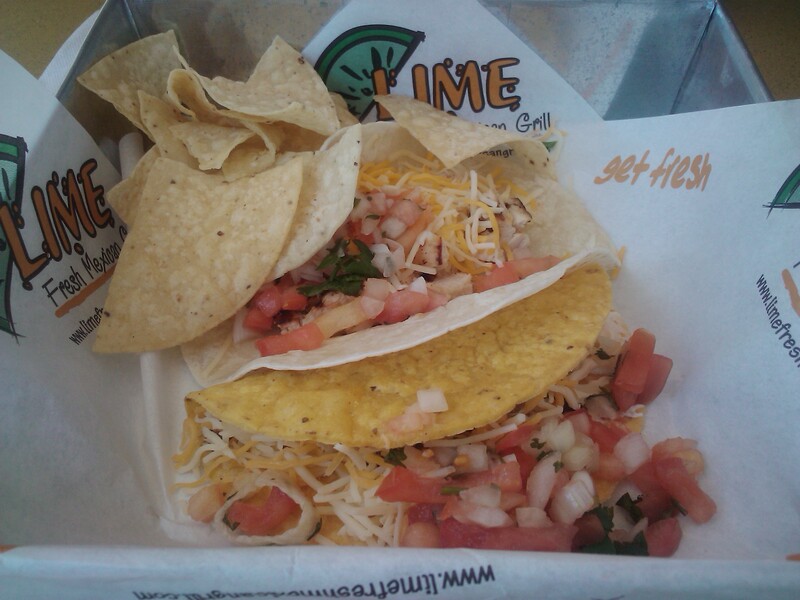 First up was the grilled mahi taco on a soft corn tortilla that was nice and flavorful, with just the right balance of citrus, pico de gallo and lettuce. There was also a “special sauce” but it didn’t remind me of a Big Mac, so I’m guessing it wasn’t mayo and thousand island dressing. I’m usually suspect of fish tacos as they can be too well, fishy, but this one hit the spot. Next was the grilled chicken on a soft corn tortilla that was also very light and flavorful with a good balance of meat to veggies ratio. But the true test for me is the down and dirty basic taco — the ground beef in a crunchy corn shell. And I’m happy to report they did not fail the soggy-shell test. Always a taco killer. Both were packed with goodness and I’d order them again. Lime serves beer, wine, sangria and a lime margarita that really had a kick. The staff was very friendly and they can also cater. Somehow I’d never made it to Rocco’s before, so when I had the chance to go with my cousins to the restaurant in West Palm Beach, I jumped at the chance. It was a beautiful sunny Sunday and we’d spent the day poolside so a couple of yummy tacos and a few margaritas were just what I was craving. Off to Clematis! I think the location used to be the old Big City — it felt familiar and it brought back some (hazy) memories, so I know it was a place where I’ve had drinks before! They have a nice open area to sit on the sidewalk to people watch or you can sit inside for full table service or at the bar. The staff was attentive and definitely worked the upsell. Which brings me to the first round of chow to hit our table. Ok, I know about the big trend now to get your custom guacamole made tableside and we went for it. We ordered it “spicy” and it was kinda blah. Now I’m not a huge fan of guac (except for what my neighbor makes but she is 1/2 Mexican), so I wasn’t wowed. And the $12 price tag for the amount we got seemed pretty high. Strike 1. But what really got me was the $3 for salsa and chips. Really? The salsa was ok, but the chips were rubbery (undercooked? stale? both?? ugh!) and covered with some kind of seasoning dust. Tasted like doritos. Strike 2. Back to the upsell. They feature a taco appetizer made with tuna, so I thought that might be interesting, so we took the $13 plunge. Boy were they small! I was hoping they’d be big on taste to make up for their dinky appearance, but all I could really taste was the fruit topping. Too much pineapple and other sweetness, I wouldn’t have even known there was tuna on it except for the pricetag. I should have just had a starburst candy instead. Strike 3. If I hadn’t already ordered my taco meal, I would have called it a day. First out was the shredded pork. Finally something that had some zing and was tender, although it didn’t have much complexity to it. And without any garnishes, there was nothing I could do but add the hot sauce, which I did liberally. 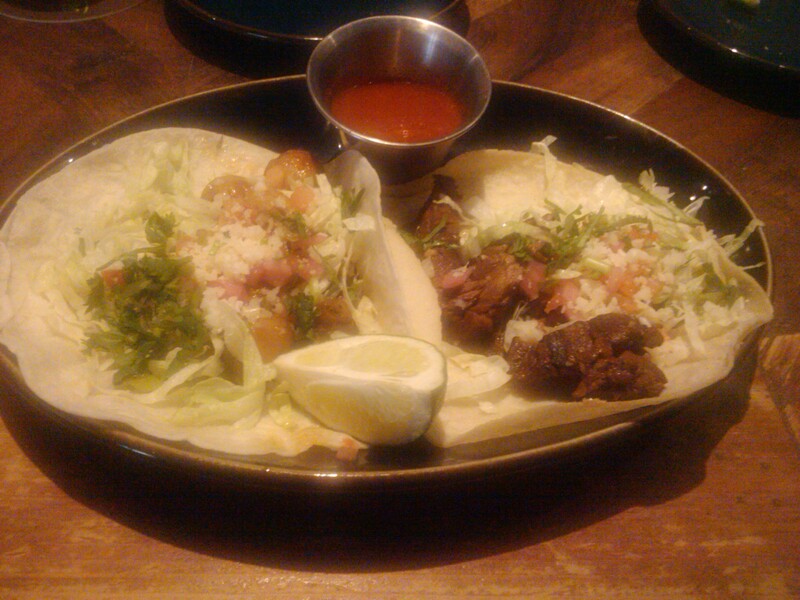 Next, the mushroom and steak tacos. I was very excited to try a mushroom taco, but it looks like they came out of a jar and were too slippery to stay inside the tortilla and the steak taco had so little steak on it, I barely tasted it, so I truly can’t comment on the flavor or texture. 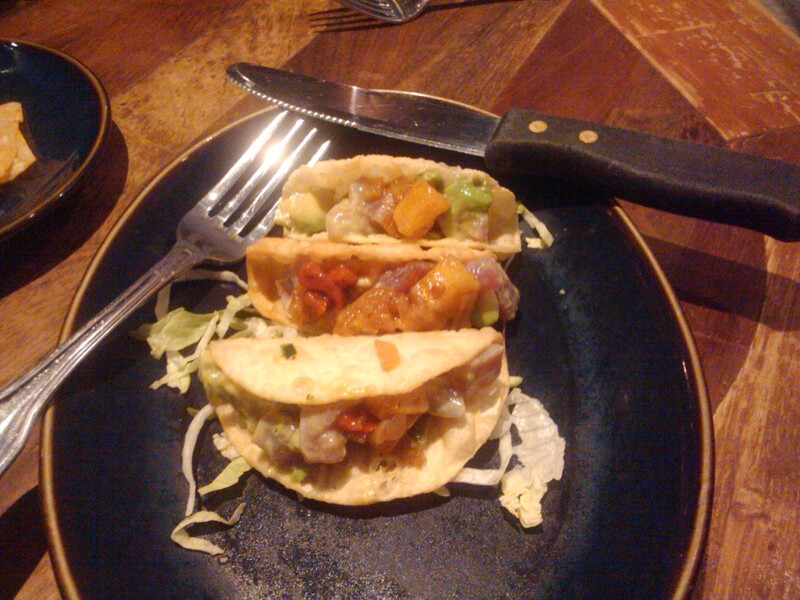 All of the tacos were very measly in terms of the amount of ingredients — and were not served hot, lukewarm at best. They were also supposed to come with crema, but there was none to be seen. Very big disappointment. 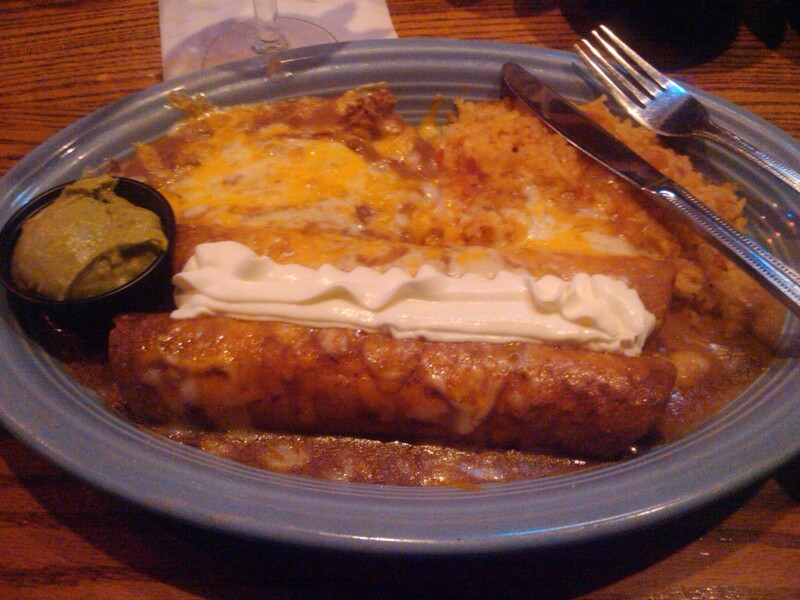 Needless to say, I won’t be back to Rocco’s Tacos, especially when my portion of the bill was almost $50. And I only had 1 beer. Strike 4. I’m out.